Burger King offers their best deal on Chicken Nuggets so far (and possibly the best deal on chicken nuggets period) by selling each order of 10 Chicken Nuggets for $1 starting tomorrow, October 11, 2018, at participating locations. 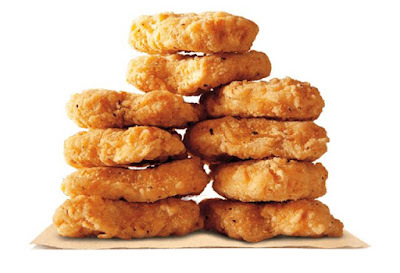 Additionally, in a select few cities (Los Angeles, Miami and Fort Lauderdale), they'll be offering a limited edition 100-piece order of Chicken Nuggets exclusively on Postmates with free delivery when you used the promo code "NUGGS" (expires on October 14, 2018). Previously, Burger King was offering their Chicken Nuggets at 10-pieces for $1.69.